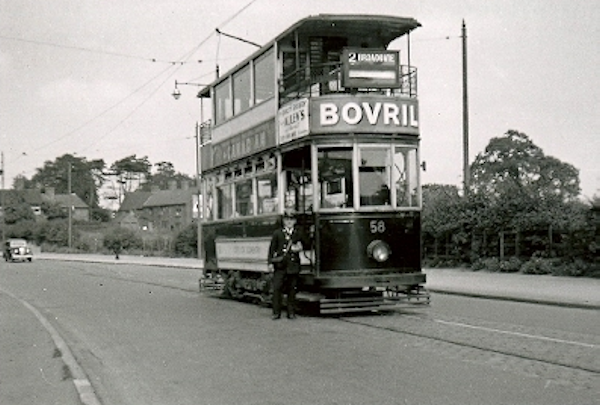 In 1926, tram route 2 ran from Foleshill depot to Broadgate. However this picture dates from after 1935, because of the later destination box above the platform canopy. From the curve in the road, Tram 58 appears to be further North, probably adjacent to Longford Park. The tram wires indicate a passing loop, one of which was situated there. The conductor is beside the tram, which suggests that it is at the terminus.